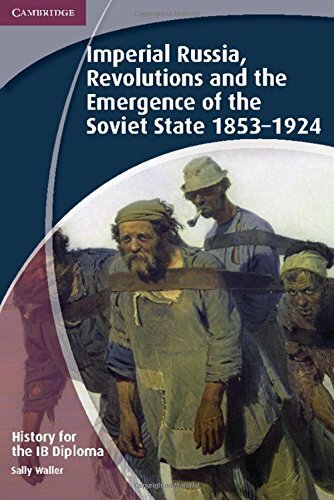 This coursebook covers Higher Level option 5, Topic 5, Imperial Russia, Revolutions and the Emergence of the Soviet State 1853–1924. The text is divided into clear sections following the IB syllabus structure and content specifications. It offers a sound historical account along with detailed explanations and analysis, and an emphasis on historical debate to prepare students for the in-depth, extended essay required in the Paper 3 examination. It also provides plenty of exam practice including student answers with examiner's comments, simplified mark schemes and practical advice on approaching the Paper 3 examination. 1. Introduction; 2. Alexander II and the emancipation of the serfs 1855–61; 3. Alexander II's subsequent reforms and their impact 1861–81; 4. Alexander III and the early years of Nicholas II to 1904; 5. The 1905 revolution and its aftermath; 6. The 1917 revolutions; 7. Lenin's Russia 1917–24; Exam practice; Further reading; Further information; Index; Acknowledgements.